Centipede grass was brought to the United States from China in 1916. It is favored because it requires low maintenance and grows well in sandy, acidic soils, as is common in the Southeast United States, as well as the Gulf Coast states. Clover is often a nuisance in centipede grass. Fortunately you can remove clover from your lawn by applying an herbicide. After application, seed the bare spots and mow your lawn 2 to 3 inches in height to help prevent the clover and other broadleaf weeds from growing back. Apply an herbicide when the clovers are actively growing. This typically takes place in late spring and in the fall before the first frost. Do not apply an herbicide to the centipede grass in the summer because it may damage the grass. Wait to apply the herbicide on a day when rain is not expected within 24 hours and the air is calm. If you are applying a granular herbicide, which is usually mixed with a fertilizer, apply when the ground is slightly moist from dew, irrigation or rain. Select an herbicide that is effective on clovers, but will not harm centipede grass. Examples include herbicides with the chemical ingredient MCPP and 2,4-D. If you choose a liquid herbicide choose one that is ready to use so you don’t have to dilute it first. Wear protective clothing, such as a long-sleeve shirt and work gloves so you do not get the herbicide on your skin. If you do get it on your skin, wash with soap and water immediately. Spray or apply the herbicide according to the manufacturer's directions, paying careful attention to the application rate. 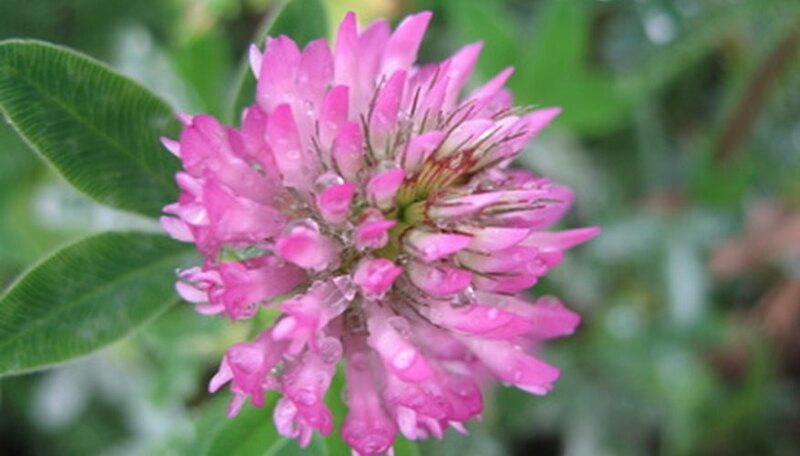 Usually, apply a liquid herbicide, dilute with water if necessary first, directly on the clover. To apply a granular herbicide, use a broadcast or drop spreader. A hand-held one with a crank is ideal for smaller lawns, but a push spreader that dispenses as it rolls is good for larger lawns.